Cost of Braces and Invisalign. Click the link to find out more! How much do braces cost and why should I invest in braces? So you have determined that you or your child needs braces, but now to ask the question that everyone wants to know – how much are the braces going to cost? Some people don’t care, whereas others are dreading it. I get it. In fact, I’ve been there. Medical bills. Insurance bills. Taxes. Car payments. House payments. Health Insurance. Life is expensive, and it can cause a lot of stress. But I have great news for you. Braces can be more affordable than you think. Before we even get into how affordable braces can really be, understand this – braces are an investment. An investment in yourself or your child. There are many places and ways you can invest and spend money. Some people invest in a new car. Others invest money in a boat. You can spend money on vacations, homes, bills, sports, hobbies, clothing, and in countless other places. So why should braces take priority over these items? The difference between braces and all of that “other stuff” is this – your investment is in yourself or your child. More specifically, your child’s smile, bite, and overall oral health. Although the braces only last an average period of 1-2 years, the effects of the braces will last a lifetime. Having straight teeth will not only affect your smile, but also countless studies in psychology have shown that improving a person’s smile will improve overall self-confidence, ability to get jobs, career advancement, and social status. I’m not saying that it’s fair, or that it’s right. It’s just how it is in our society, and the studies support this. Time and time again, I’ve seen our patients’ personalities transform simply because they feel confident with their new smiles. This investment not only improves a patient’s present smile, but also it pays dividends in confidence for your child over the course of a lifetime. I’m passionate about changing patients’ lives by improving their smiles – otherwise I wouldn’t be an orthodontist! I truly believe that every kid should get the opportunity to have a great smile, and the great news is this – your child can have a great smile without you feeling stressed about the cost of treatment. Your overall investment for braces will vary, depending on several factors, including the difficulty of the case, the extent of the treatment desired, whether it’s early treatment versus later comprehensive treatment, geographic location, whether you choose invisalign, braces or clear braces, and many other factors. 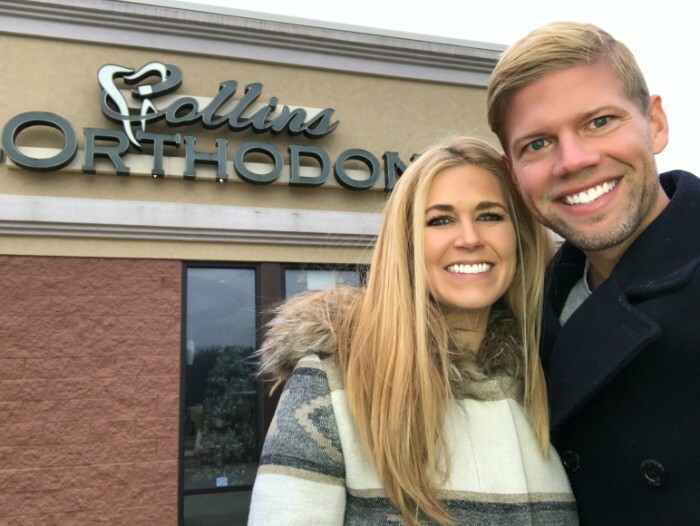 In the state of Minnesota, a standard comprehensive orthodontic treatment fee ranges between $3000 for very limited cases to $10,000 or more for extensive cases – most standard orthodontic cases fall somewhere in the middle of this range. However, the good news is this – if you can find the right orthodontist, you will have the opportunity for a financing plan that fits your budget. Not all orthodontic offices will do this. It’s just a matter of you finding the right office. Some people come into our office simply wanting to know about the full payment discount, whereas others want to find a monthly amount that feels comfortable with their budgets. Find an orthodontic office that adapts to fit your budget and individual needs. At our office, we find ways to make it work and that means being flexible with the patient and family needs. We understand that every person that walks through our doors comes from a different background, has different budgets, different goals, has a different number of kids that may need braces, and will require a different financial plan to work with these personal situations. Our goal is to find ways to make things work. I tell all of our patients and parents, “We never want to trade a dental problem for a financial problem” and for that reason, we are extremely flexible with our financing options in order to find ways to make it work for you to invest in your child’s smile and future. When you are looking for an orthodontic office, always ask about their financial plans before signing up for treatment. What should I be discussing with the orthodontist? 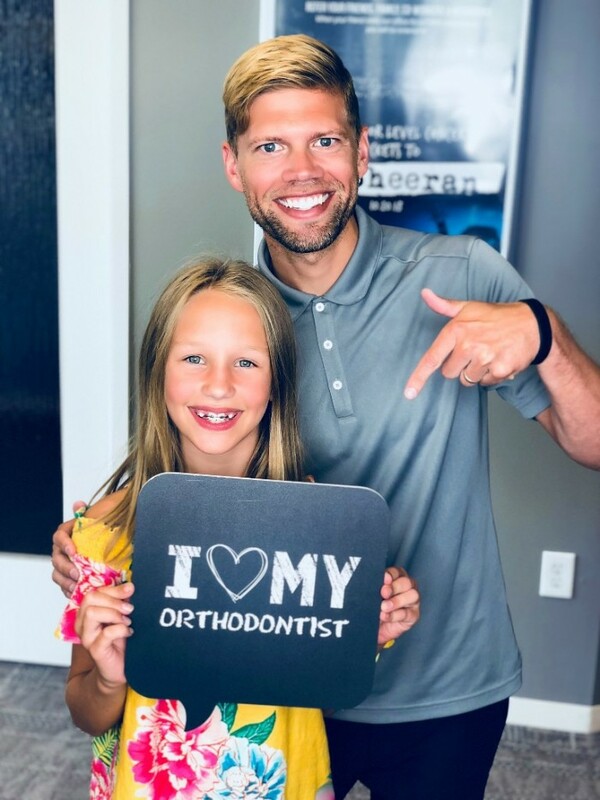 Payment plans, flex spending, insurance and financing… all of these items can be intimidating and confusing, but there are certain areas that you need to understand well in order to discuss with your orthodontist. Make sure to find an orthodontist that offers some type of flexible payment plan that allows you to make 0% interest monthly payments. It is important that your orthodontist is flexible in working with you to make sure you’re comfortable with the amount you pay each month. Some offices will have strict policies regarding finances and payment, often times saying things such as "You owe us 50% the day you get your braces on, and then you have 12 to 18 months to pay off the remaining balance." At our office, we choose to do things differently. I tell my Financial Coordinator to be compassionate and understanding because people will have different budgets and different needs. So you can choose. Do you want a large full payment discount, or would you prefer to keep your monthly payments low over a long period of time? We don’t have a sign in our office that says this is our policy. Instead, we have a motto, and here it is: we never want to trade dental problems for financial problems. That’s it. That is why we offer the most flexible payment plans around. Flex Spending Accounts (FSA) are a great way to help families afford orthodontic treatment. These accounts are set up through your place of employment, and they allow you to use pre-tax dollars to set aside for medical expense, ultimately saving you money. Make sure to ask your place of employment about Flex Spending Accounts, because it can definitely help when paying for orthodontic treatment. Check with the orthodontic office to see if they will do a complimentary insurance benefits check for you. Many types of insurance plans will have an orthodontic benefit; it’s just a matter of discovering what the benefit includes, its limits (age, lifetime maximum), and its disbursement schedule – all of these factors will be important to understand as well. Orthodontic benefits, though part of your dental insurance, are usually structured differently than benefits that cover dental cleanings, fillings, etc. Orthodontic insurance generally has a lifetime maximum (an amount pre-determined by the plan that will be the maximum amount an insurance company will pay); stricter limits (age limits are very common); and disbursement schedules (some will disburse benefits in two to three chunk payments – the day the braces are placed, at 6 months, at 12 months – and some will pay monthly). Checking your benefit can be complicated, so if you are struggling to figure out your insurance benefit, or even if it’s difficult to interpret exactly what your insurance benefit states, be sure to bring your insurance card to your orthodontic appointment and let the office experts do the hard work for you. Third party financing for treatment is also an option. Whether through family and friends or through a loan obtained via a lending institution, you may be able to qualify for low or no-interest loans that allow you to obtain the finances you need for orthodontic treatment. What other factors will increase the cost of braces? There are many factors that may affect the cost of braces. 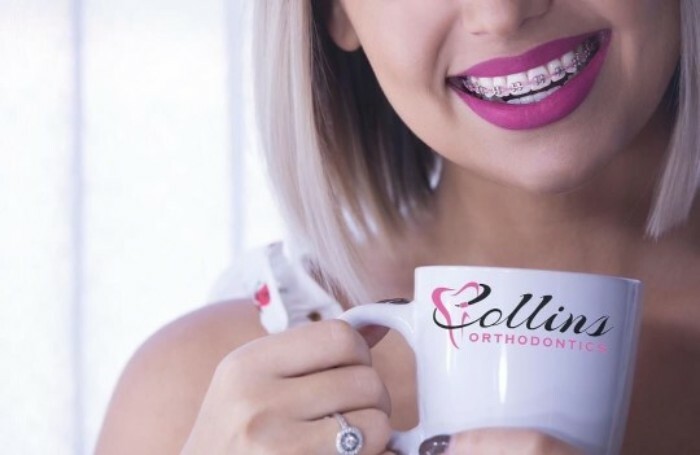 The first is this – when calculating the actual cost of orthodontic treatment, be sure to factor in the time and income lost from missing work or school. One of the most common complaints of parents is the overall time it takes for orthodontic appointments. Think about it. Early morning, lunchtime, and evening appointments. Easily accessible locations, i.e. near highways and main roads that allow quick travel. “Same day starts.” If your child is ready for treatment, a “same day start” can save you a lot of time, and usually a lot of money too. It basically allows you to have the new patient exam, records (i.e. x-rays, photos, etc. ), dental molds, and the consultation with the doctor all in the same day. Make sure your orthodontist respects your time and does not draw out multiple appointments prior to even getting braces. Lost time from missing work or school is time that you can never get back. Some orthodontic offices schedule a whopping four to five separate one-hour appointments prior to braces going on, which could mean waiting several months before getting started! Just imagine how much school your child will miss before the braces even go on. That being said, find an orthodontist that values your time.